SATS will be investing US$8.3m in Beijing Ground Services (BGS), but its equity stake will only rise by 1%. SATS is also expected to recognise prior unrecognised losses from the JV, which we estimate could amount to S$11m. SATS could also raise its investment in Beijing Inflight Kitchen as it prepares to operate at Daxing Airport. We lower our target price to S$5.80 as we factor in marginally lower earnings for FY19. Maintain BUY. SATS and Capital Airport Holdings inject US$28m equity in Beijing Ground Services (BGS) but shareholding structure is inequitable. SATS will invest US$8.3m, but will only receive an additional 1% equity stake, while Capital Airport Holdings’ stake will rise by 39%, following a US$19.94m cash infusion. The other JV partners China Southern Airlines’ (CSA) and China Eastern Airlines’ (CEA) stakes will be diluted. We believe the investment is in preparation for expansion into the Beijing Daxing Airport in 2019. 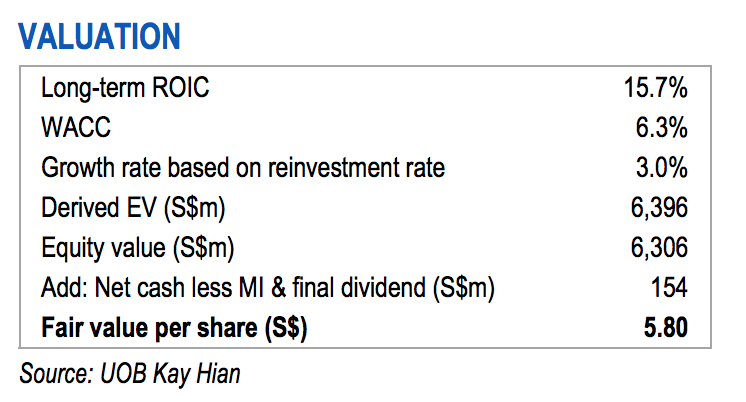 SATS will very likely book unrecognised losses of S$7m-9m from BGS in FY19, arising from the increased investment. BGS was in negative equity to the tune of Rmb128.3m as at 31 Dec 17. SATS’ portion of unrecognised losses as at Mar 17 amounted to S$8.983m. With the additional equity investment, SATS could recognise up to S$11m (equivalent to additional investment) in additional losses. We have assumed that SATS will recognise S$8m in prior unrealised losses in FY19 and $3m in FY20; we have lowered our associate earnings forecasts accordingly. That said, the losses will have no impact on cash flow but will effectively reduce shareholders’ equity. SATS will very likely raise its investment in Beijing Airport Inflight Kitchen (BAIK) as well. SATS indicated at a previous analysts briefing that it will operate out of Daxing Airport when it opens in 2019. This will necessitate the building of a new catering facility. Its current airline JV partners are CSA (30%), Eastern Air Catering (30%) which is wholly-owned by CEA, as well as Capital Airport Holdings (12%). Both airlines will be captive operators at Daxing Airport and this could give Beijing Airport Inflight Kitchen (BAIK) greater scale at the new airport, compared to operations at Beijing Capital International Airport (BCIA), given competition from Beijing Air Catering Co Ltd, which serves flag carrier, Air China. The latter has approximately a 40% share of traffic out of BCIA, which will rise to 70% by 2022. Temasek is in talks to purchase HNA’s stake in European inflight caterers, Gategroup and Swissport. According to Bloomberg, the talks are in the preliminary stage. 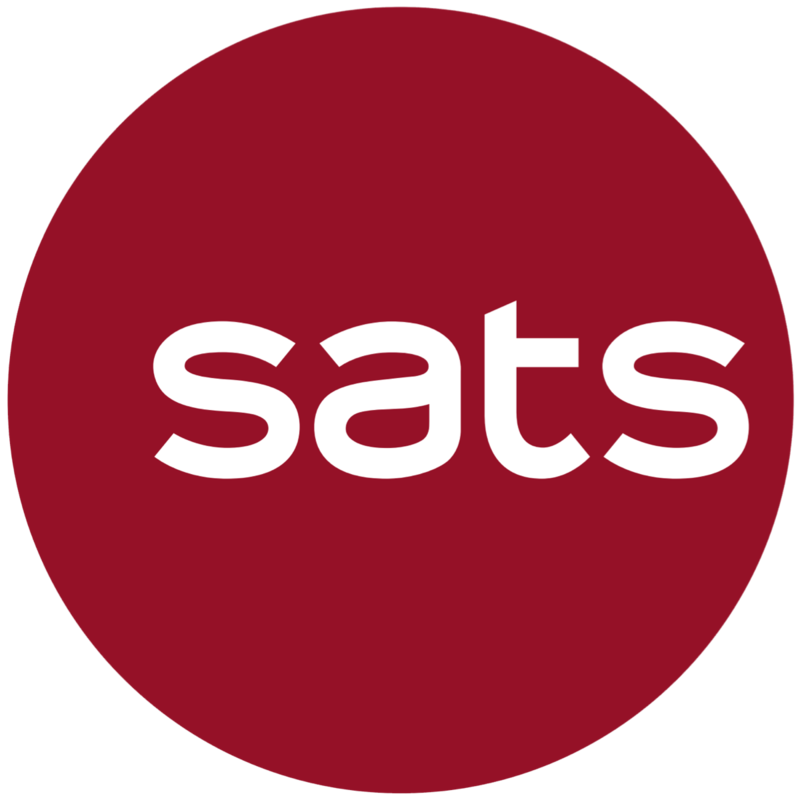 SATS has historically enjoyed better operating margins compared to its European competition and management had always maintained that its focus area is within Asia. Thus, we believe that SATS would not be too keen to partner with its major shareholder in acquiring a stake in the firms. SATS’ Beijing JVs are unlikely to be accretive over the next 2-3 years. We believe that BGS’ losses will accelerate as CSA and CEA shift over to Daxing Airport from BCIA over the next four years. We estimate that BAIK will be marginally profitable, but its JV partners shift to the new airport and ramp-up costs at the new airport could lead to higher overheads and impact margins for the next 2-3 years. Thus, while SAT’s investments in Beijing’s airports are likely to be strategic over the long-haul, the payoff could still be some years away. We lower our FY19 net profit estimate by 4.4% after factoring in lower associate earnings arising from the S$8m loss assumption. Maintain BUY with a marginally lower target price of S$5.80 (S$5.90 previously). We reduce our long-term sustainable ROIC assumption from 16% to 15.7% following our lower earnings forecasts. Our target price is consequently lowered to S$5.80. At that level, the stock will trade at 25.3x FY19 PE and ex-cash PE of 24.2x.